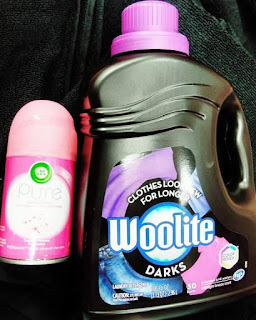 Spring has sprung and it’s time to tackle spring cleaning with Lysol, Woolite, Air Wick & Finish from Target. There is just something about this time of year that just makes us want to clean and make everything fresh and new. If you are anything like me you need to buy supplies to get your cleaning started. Target makes it easy to spring into cleaning by offering all the products we need at great prices. Before heading to Target, I highly recommend making a list of all the things you will need. It’s always a bad thing to get some and find you don’t have all that you need to tackle your spring cleaning jobs. I also HIGHLY recommend turning spring cleaning into a family affair. Give each family member a different room to clean or a task. Even the youngest member can help with sorting colors of laundry. Every since I was a kid I can remember our home having Woolite. Now being a mother and having children of my own it’s still my go-to brand. Woolite High Efficiency Extra Dark Dual Formula 100oz is what I use to care for my families dark clothing. Let’s face it laundry is a big deal for my family of 5. And just because it’s spring we do not stop wearing our darker colored clothing. 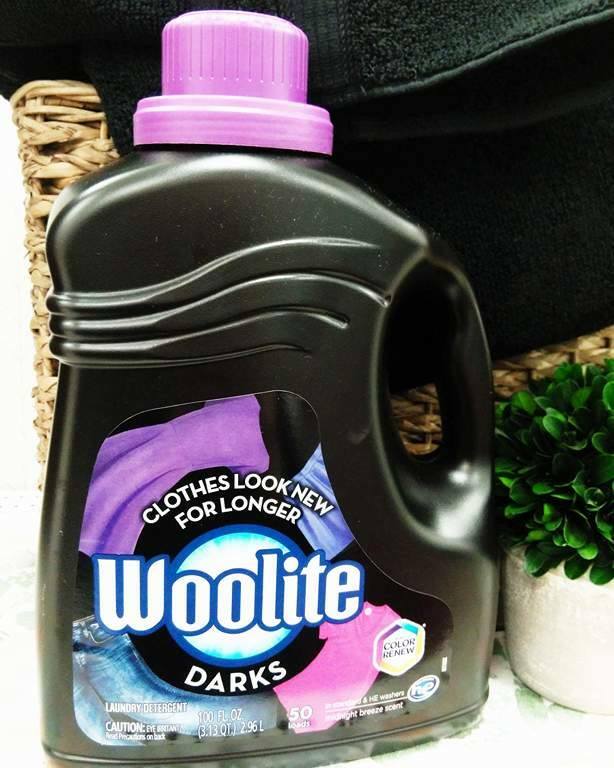 Woolite High Efficiency Extra Dark Dual Formula keeps our darks looking new longer and also keeps the original color intensity. I really like that you use it just like you would any other detergent, there are no extra steps. Woolite High Efficiency Extra Dark is the only detergent I trust to use on my husbands work uniforms and my kids band and gold uniforms. 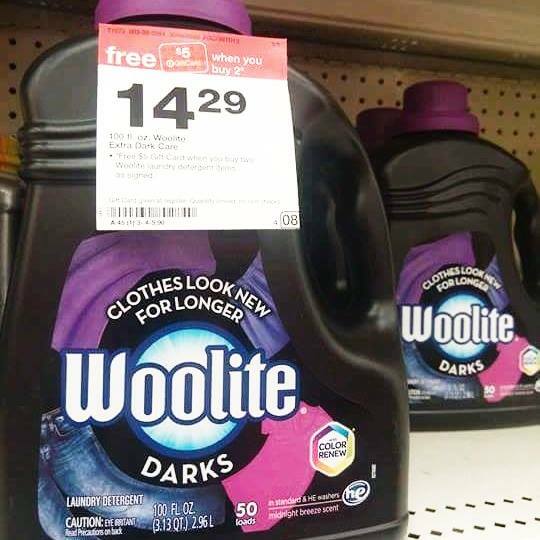 Currently Target has some great insensitive and savings on Woolite. Target makes it easy to stock-up and save money on Lysol, Woolite, Air Wick & Finish. Buy clicking her you can use the Cartwheel Coupon Offer and save 5% off any Woolite Item.